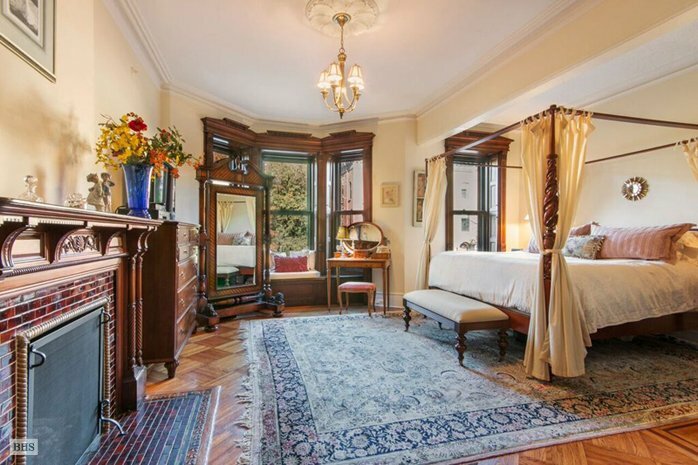 There are some New York properties in which it’ll depress you that “we just don’t make them like we used to.” This is one of them. 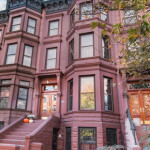 226 Garfield Place is a single-family, four-story Park Slope brownstone built in 1901. 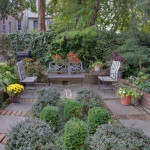 It’s located smack dab in the neighborhood’s historic district and a few blocks from Prospect Park. 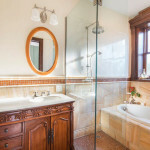 The home withstood the test of time, then underwent a restoration and renovation in 2006 that returned many of the period details back to their original splendor. 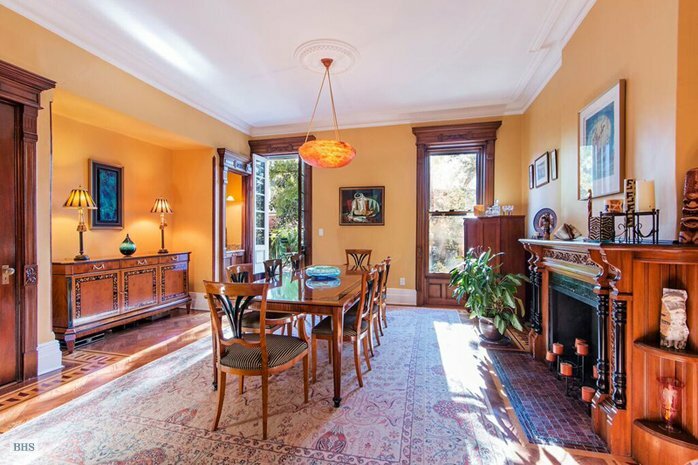 That means while you’ve got restored woodwork, mantlepieces and parquet floors, there are also fancy additions like dual zone central AC, new windows, plumbing and electrical and an upgraded roof. Best of both worlds! 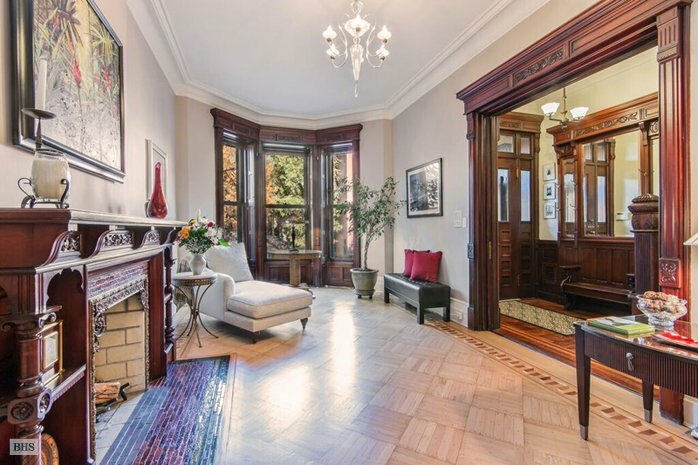 You enter the home through wood-and-glass double doors into the parlor floor–always the grandest floor of any brownstone. 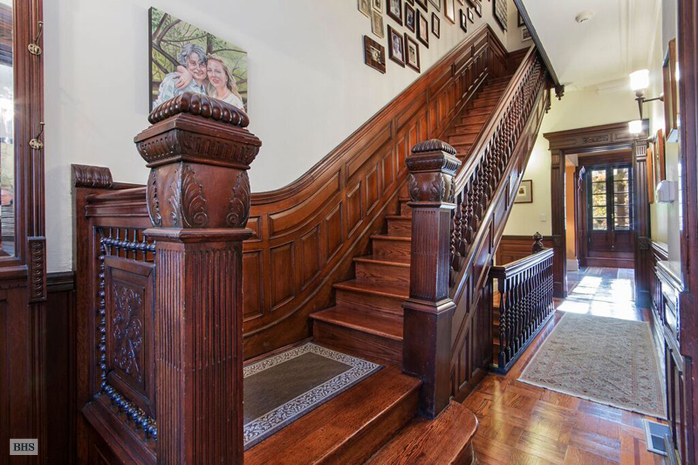 The entry has this incredible staircase, which leads up to a stained glass skylight on the top floor. 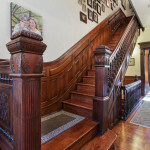 The ornate woodwork of the banister was totally restored, but the staircase is new. That sounds like a challenging restoration feat. 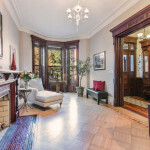 The parlor floor has it all: high ceilings, a wood burning fireplace with the original tile mantel, crown and baseboard molding, and pocket doors. 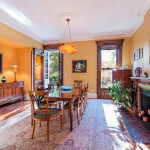 According to the listing, the living room floors were “pickled” to provide a brighter shade. The formal dining room boasts a wet bar and parquet wood floors adorned with a “tromp l’oeil” pattern. The garden level is home to the eat-in kitchen and family room. The kitchen has a “breakfast corner area” with built-in banquette seating–looks like something straight out of a country kitchen. 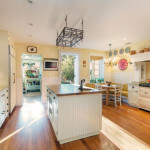 More seating comes from stools placed around the island butcher-block counter. A fun perk down here: an electric dumbwaiter that goes to the formal dining room one floor up. 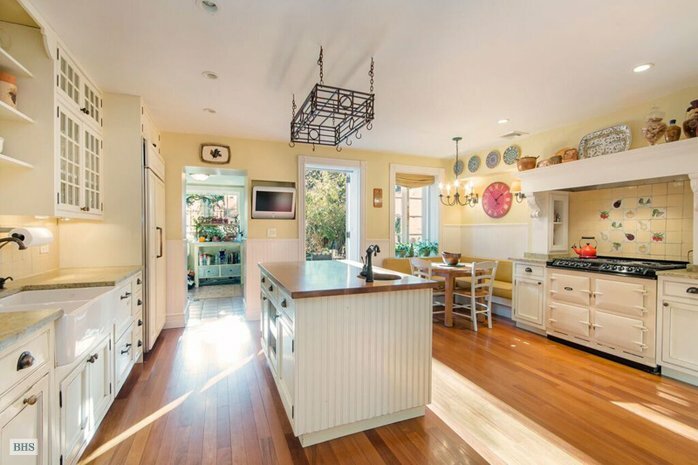 There’s a casual living room, with bay windows, right in front of the kitchen. 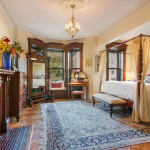 But even this casual space comes with a wood burning fireplace, parquet floors, a built-in armoire and pocket doors. 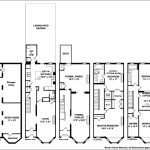 The third floor is dedicated to the master bedroom, and theres’s currently an office/sitting room that could be used as an additional bedroom. The master bedroom boasts a gas fireplace with its original detailing, a walk-through dressing room and walk-in closet. Four floor-to-ceiling windows seem to flood the room with light. There are five bedrooms total, with three more on the fourth floor. 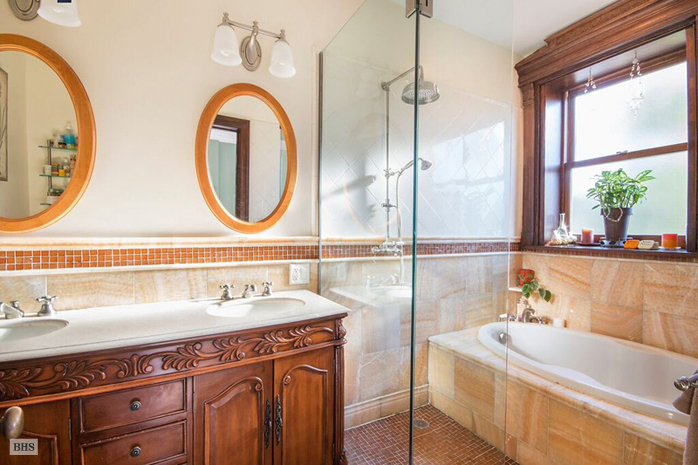 The marble bathroom off the master has a double sink vanity, a Jacuzzi tub and separate glass shower. 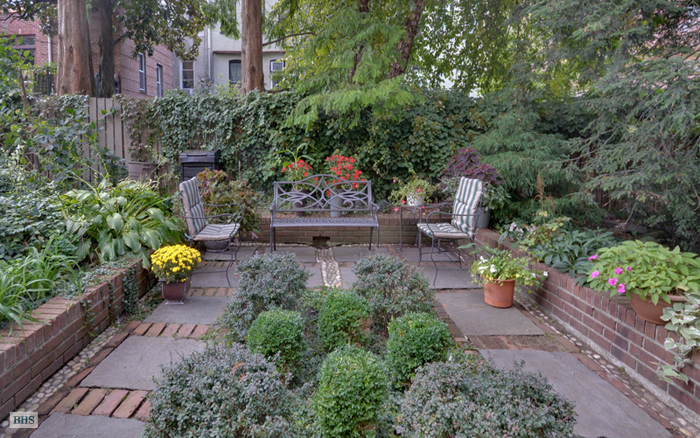 In case you were thinking just how lovely this brownstone is, take note that the backyard is just as lovely. It’s accessed from the eat-in kitchen on the garden floor, or can be gazed at from the deck off the formal dining room on the parlor floor. Brownstone living looks nice, huh?